Osogbo – Osun State Governor, Mr Rauf Aregbesola has declared that revenues from Cocoa and other prominent farms produce in which Osun has comparative advantages have great capacities to turn around the economy and fortunes of the state if pursued with renewed vigor. Governor Aregbesola who stated this assured that his administration will leave no stone unturned to make the state great again, hence the recent investment and research into Cocoa production and the focus on other areas of agriculture. The governor stated that for the state to start on a good footing at producing ‘Cocoa Omoluabi’, the state has enumerated and identified 60 million active cocoa trees in the state. Aregbesola, while meeting with Cocoa Produce Merchants in the state at the Government House Banquet Hall in Osogbo, stated that with new cocoa development initiatives in the state, there will be a new cash inflow making the economy of the state prosperous. He stated that the state has also gone further in her bid to boost cocoa production and Agriculture with the signing of Memorandum of under standing with the International Institute of Tropical Agriculture (IITA) on the development of agriculture and production of massive food production as alternative to reliance on oil sector. The agreement according to Aregbesola involved releasing of 204.39 hectares of land in Ago Owu Farm Settlement to IITA for the purposes of conducting research and setting up demonstration farms for best farming practices. IITA will also carry out cassava, plantain and other crops multiplication including Cocoa as well as train the youths in the state in modern, commercial and profitable farming. Aregbesola emphasised that the state in her bid to increase Internally Generated Revenue in Osun, government will establish commodity board that will be supervised directly by the office of the governor to ensure that Osun ranks among the best cocoa producers in Nigeria within the next two years. He told the produce merchants that the economic situation of the state has been badly affected with the pillaging of the national treasury by the previous administration. 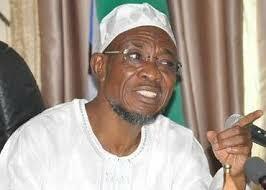 Aregbesola added that the situation with the drop in oil prices and the sharp reduction in the Federation Accounts from N1.2 trillion in 2012 to N369 billion in November allocations shared in December 2015 has reduced the running of government to little or nothing hence the need to look inward in increasing IGR. The governor noted that the state will soon bounce back‎ with the identification of sixty million Cocoa trees presently in the state, adding that government henceforth will criminalise any action of farmers and merchants that runs afoul of government laws on cocoa. He pointed out that government will soon be registering all farmers in the state for easy implementation of government policies on agriculture thus giving adequate room for monitoring and giving the necessary support for farmers. According to him, “to show the people of the state that we are ready to face agriculture squarely in Osun, I am establishing a commodity board that will be supervised directly from the office of the governor. “Our bags of cocoa in Osun will be branded with this; government will be able to ensure that the quality of cocoa coming out of the state meets international quality. When there was free money coming from oil, no government was looking at what cocoa could bring to the economy; we are back to the days where cocoa will be the main stay of our economy in Osun”. The governor emphasised. Aregbesola hinted that Produce tribunals will be set up across the state and that special colour will be given to vehicles that will be transporting cocoa within the state. The governor added that the State Executive Council meetings will be held in rural areas where cocoa farming is thriving in the state for about six months to one year after the formation of his cabinet. Earlier, the Chairman of All farmers Association of Osun, Chief Raheem Adeniji stated that the association is ready to partner and cooperate with government in her bid to revamp the cocoa farming in the state. He lamented the poor economic state the country has found it with the neglect of cocoa which he said was the back bone of the economy in the 60s, identifying the cancellation of Cocoa and marketing Board by the then military government as a setback for the industry in Nigeria. Adeniji commended government for introducing E-payment, adding that government should ensure and maintain that Osun cocoa should not go out of the state.